Alan Brudner has more than 30 years of experience representing institutions and individuals in government and regulatory investigations, internal investigations and litigation. With significant experience both as a federal prosecutor and as head of litigation and investigations for the Americas at one of the most prominent financial institutions in the world, Alan brings broad knowledge and a multifaceted perspective to all of his cases and matters. Alan regularly counsels clients on matters involving the Department of Justice and US Attorney's Offices, the Securities and Exchange Commission, the Financial Industry Regulatory Authority, the Commodity Futures Trading Commission, and other federal and state regulators and prosecutors. He has also represented clients in connection with investigations by the Federal Reserve Bank of New York, the Permanent Subcommittee on Investigations of the US Senate Committee on Homeland Security and Government Affairs, and the House Energy and Commerce Committee. Alan has represented corporate and individual clients in connection with investigations of such offenses as insider trading, bid-rigging, fraudulent accounting and disclosure, fraudulent sales practices, market manipulation, tax evasion, money laundering, and corrupt foreign payments. He also represents clients in securities and business litigation, and has significant experience representing hospitals and public entities in False Claims Act cases and investigations of billing practices, supervision and regulatory compliance. Alan has advocated successfully on behalf of individuals and institutions in numerous investigative matters, and has secured the dismissal of claims and civil cases for financial industry and health care clients. 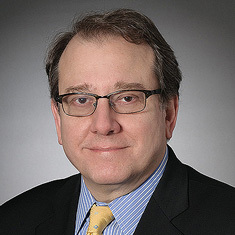 As an Assistant US Attorney for the Southern District of New York, where he was a member of the Securities and Commodities Fraud Task Force, Alan was responsible for the investigation and prosecution of numerous cases focusing on securities, mail, wire and bank frauds; tax and customs frauds; health care and insurance industry frauds; money laundering; and other white collar criminal matters. In 1994, he received the US Chief Postal Inspector's Special Award for the investigation and prosecution of significant mail and wire fraud cases. After his time as a prosecutor, Alan worked for UBS AG for 15 years, eight of which were as head of litigation and investigations in the Americas for the UBS Investment Bank. With significant experience in the government, in-house and in private practice, Alan is highly sensitive to his clients' business concerns, while helping them address their legal, regulatory and compliance issues. Alan has successfully tried complex cases before federal juries, has represented clients in administrative hearings and arbitrations, and has briefed and argued appeals before the US Court of Appeals for the Second Circuit, including a successful pro bono appeal in which the court held that a defendant is entitled to a writ of habeas corpus if his conviction resulted from perjured testimony, even if the prosecutor was unaware of the perjury at the time of trial. A frequent judge for the Fordham Law School trial advocacy program and NYU School of Law's Moot Court program, Alan also often appears on CLE panels regarding the ethics and mechanics of corporate internal investigations, securities investigations, and litigation. Alan is currently serving as chair of the Bioethical Issues Committee of the City Bar Association. In that capacity, he is frequently called upon for advice and assistance in formulating positions on health care policy issues and proposed legislation. While attending law school, Alan served as managing editor of the Annual Survey of American Law and was the recipient of the Judge Abraham Lieberman Award for Outstanding Scholarship in Criminal Law. He was awarded the Eleanor H. DeGolier Prize for Academic Excellence at Vassar College. Shown below is a selection of Alan’s engagements. Ongoing representation of a municipality and a public benefit corporation in several unrelated False Claims Act cases. One case was dismissed with prejudice. Representation of an international bank in litigation relating to LIBOR submissions. Case was dismissed with prejudice. Conduct an internal investigation on behalf of the audit committee of a large public company engaged in technology manufacturing and sales. Representation of an international bank in connection with a DOJ FIRREA investigation and civil litigation. Representation of trading and sales personnel of several financial institutions in DOJ, CFTC and SEC investigations of the FX markets. Counsel to an international bank on compliance policies and procedures related to the use of expert services and networks. Representation of a global financial institution in a civil action relating to the sale of warrants. Representation of several traders and international bank personnel in investigations relating to LIBOR submissions. Representation of a broker-dealer in connection with a state regulatory review of structured products. Representation of a foreign trading concern in an SEC insider trading investigation. Representation of the head of compliance of an industrial manufacturer in an FCPA investigation. Representation of a broker-dealer in a FINRA investigation relating to the supervision of a registered representative. Representation of an investment bank, traders and a securities analyst in various insider trading investigations. Representation of C-Level corporate executives in SEC fraud investigations. Representation of several bank executives in SEC investigations and litigation relating to fraud and corruption. Representation of an international bank in a FINRA investigation and an internal investigation relating to the mismarking of trading positions. Representation of a purchaser of tax liens in a DOJ bid-rigging investigation. Representation of several private and public health care institutions and individuals in investigations, regulatory proceedings and False Claims Act litigation relating to billing, supervision and regulatory compliance issues. Representation of the chairman of a public company in a market manipulation investigation.